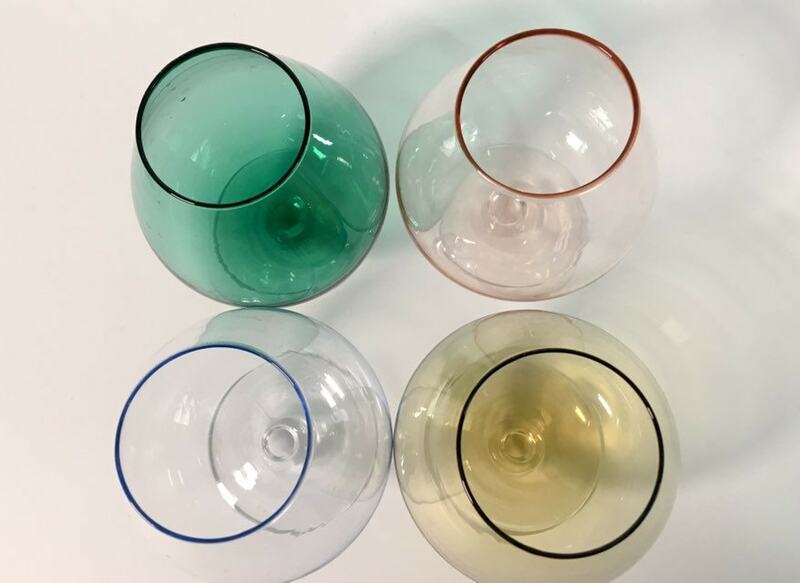 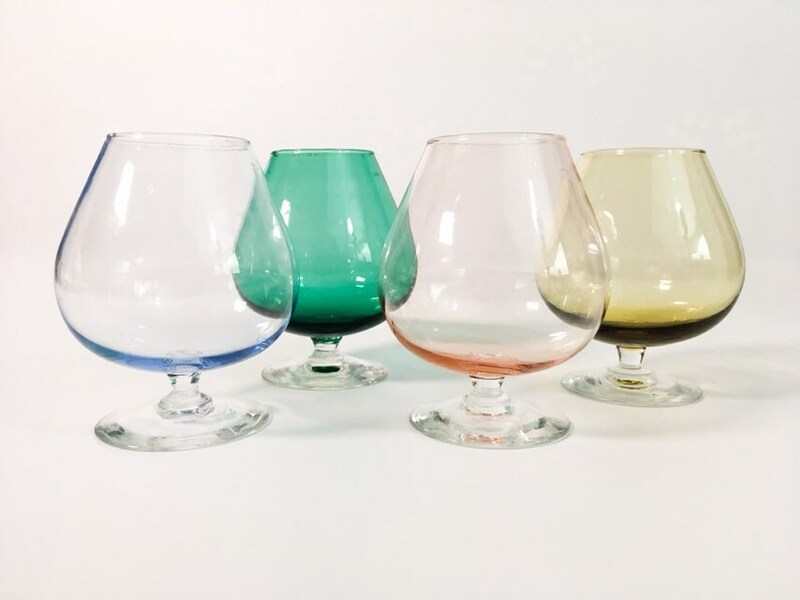 Vintage set of 4 small multi colored glasses in a Snifter shape. 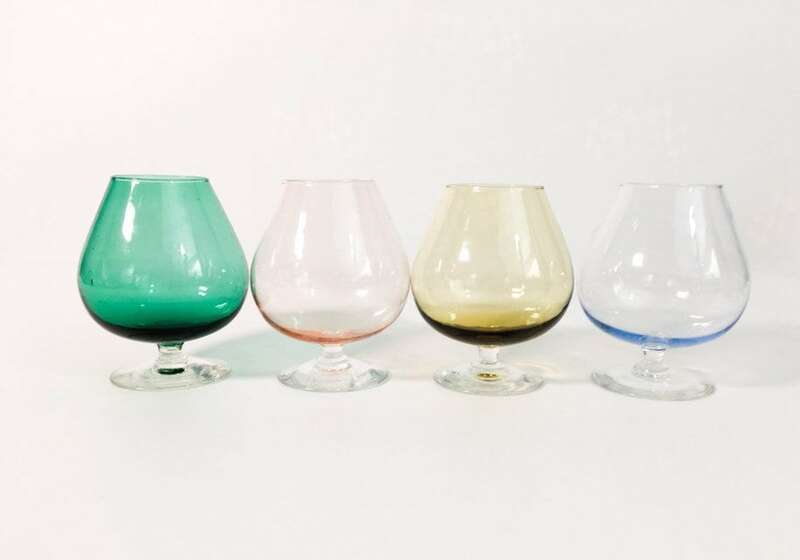 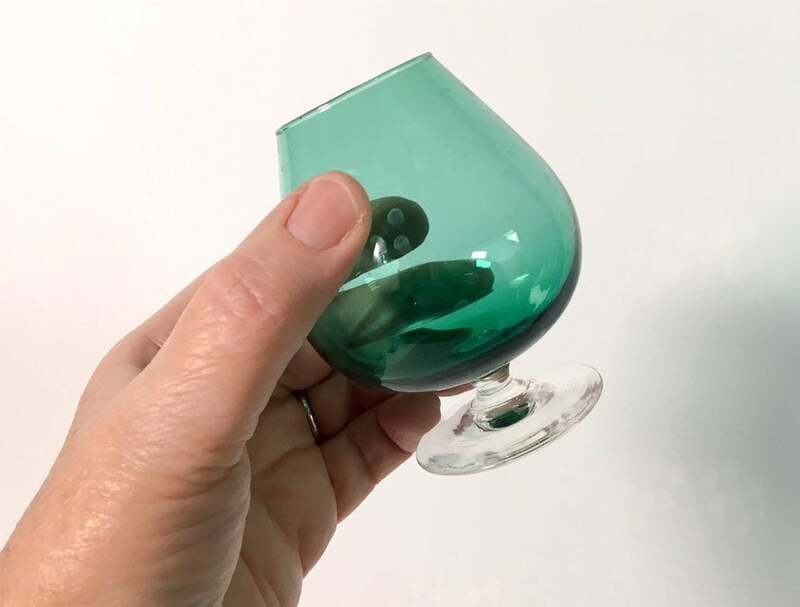 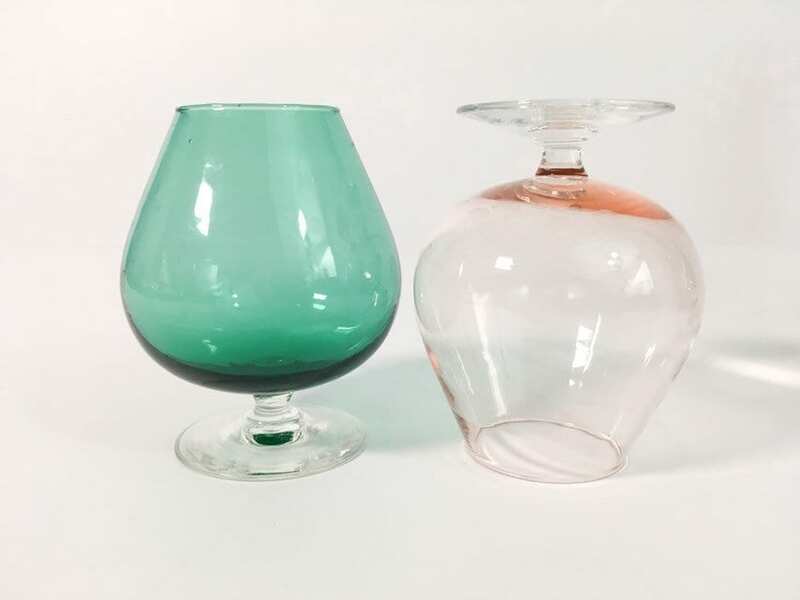 The set of four mid century glasses are all different colors but all have a clear glass stem. 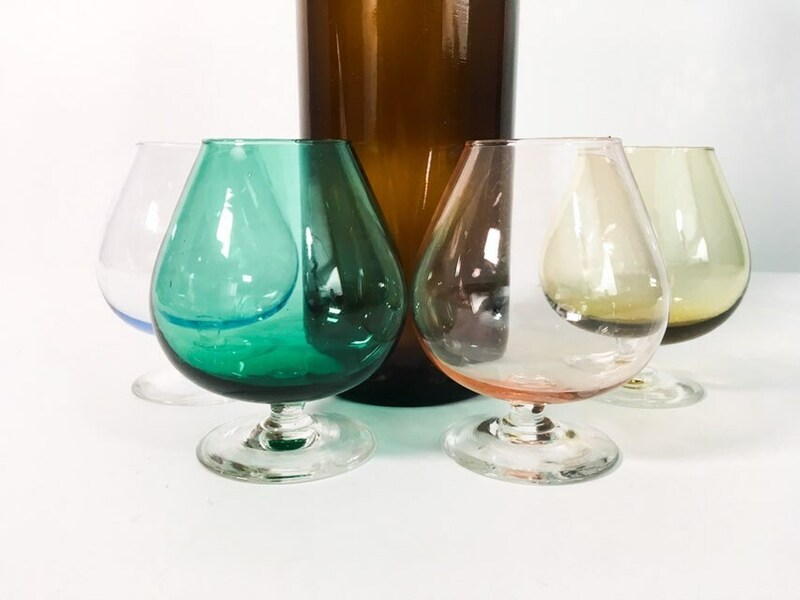 The colors are a darker shade of green, light blue, light pink and a tawny Amber. 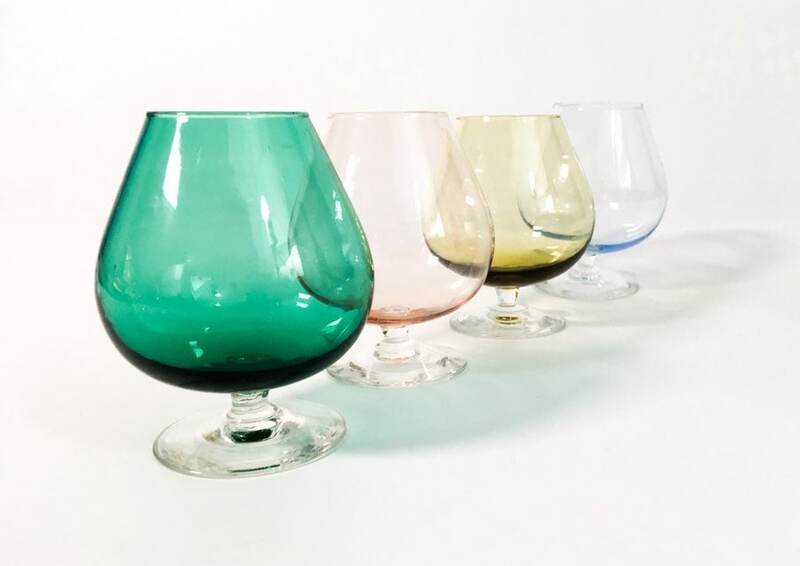 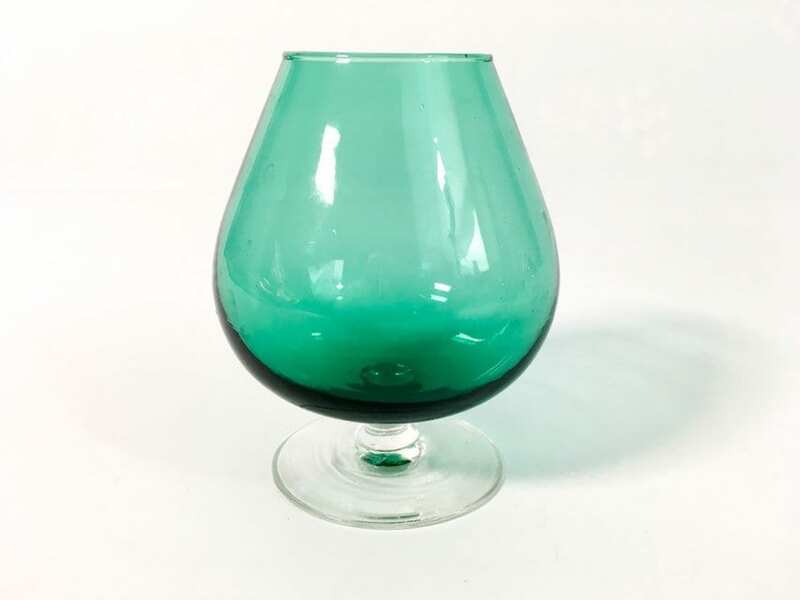 These are brandy snifters and have a great feel in the hand - delicate and classy.